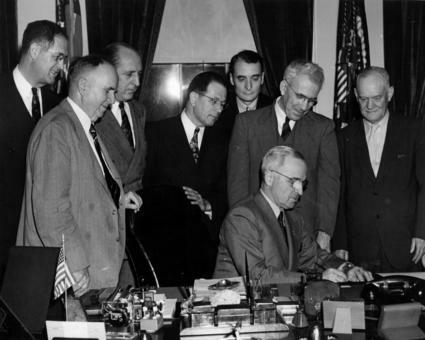 Missouri's own President Harry S. Truman signed the National School Lunch Act on June 4, 1946. Though school food service began long before 1946, the Act authorized the National School Lunch Program (NSLP). The legislation came in response to claims that many American men had been rejected for World War II military service because of diet-related health problems. 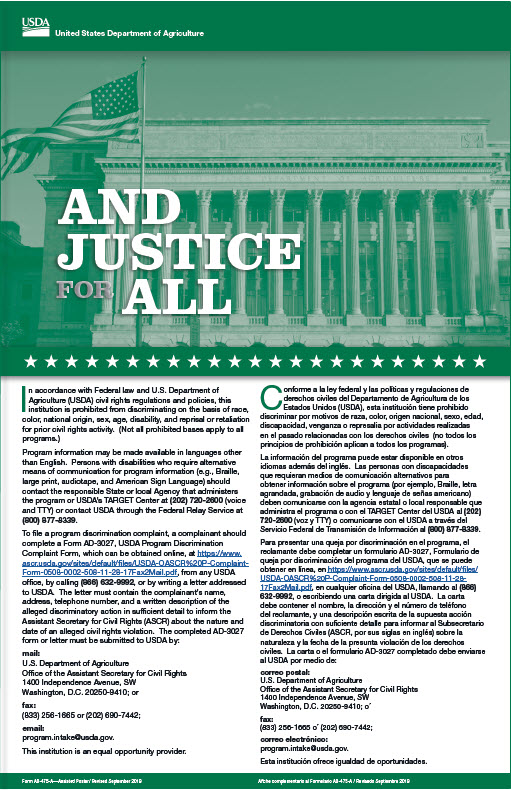 The federally assisted meal program was established as "a measure of national security, to safeguard the health and well-being of the Nation's children and to encourage the domestic consumption of nutritious agricultural commodities." During the 2015-16 school year, the Hickman Mills C-1 School Nutrition Services Department served more than 926,629 school lunches to 92% of the student population. On October 11, 1966, President Lyndon B. Johnson signed the Child Nutrition Act of 1966. The Act established the School Breakfast Program (SBP). The SBP is a federally assisted meal program that provides nutritionally balanced, low-cost or free breakfasts to children in public and nonprofit private schools and residential child care institutions. President Johnson remarked during the signing of the Child Nutrition Act of 1966, "good nutrition is essential to good learning." During the 2015-16 school year, the Hickman Mills C-1 School Nutrition Services Department served nearly 731,379 school breakfast meals to 73% of the students. When school is out and parents are still at work, children need a safe place to be with their friends, with structured activities, and supportive adults. Afterschool programs that serve meals and snacks draw children and teenagers into constructive activities that are safe, fun, and filled with opportunities for learning. The food gives them the nutrition they need to learn and grow. The 2015-16 school year was full of tremendous growth for the Hickman Mills C-1 School Nutrition Department, serving over 206,000 supper meals to 81% of the students participating in afterschool programs. The Fresh Fruit and Vegetable Program (FFVP) is a federally assisted program providing free fresh fruits and vegetables to students in participating elementary schools during the school day. The goal of the FFVP is to improve children’s overall diet and create healthier eating habits to impact their present and future health. The FFVP helps schools create healthier school environments by providing healthier food choices; expanding the variety of fruits and vegetables children experience; and increasing children’s fruit and vegetable consumption. The FFVP began as the Fresh Fruit and Vegetable Pilot Program, authorized by Congress under the Farm Security and Rural Investment Act of 2002 (P.L. 107-171) in a limited number of States and schools. The purpose of the pilot was to identify best practices for increasing fresh fruit and vegetable consumption among students, and to determine the feasibility and students’ interest. In 2008 the Food, Conservation and Energy Act of 2008 established the FFVP as a permanent program and also expanded the FFVP nationwide to all 50 States, the District of Columbia, and the territories of Guam, Puerto Rico and the Virgin Islands. During the 2015-16 school year, the Hickman Mills C-1 School Nutrition Department served nearly 18,000 pounds (yes POUNDS) of broccoli to students across the district! Harvesters’ BackSnack program provides a weekly backpack filled with nutritious, child-friendly food for schoolchildren to take home over the weekend. More than 100,000 children in the Kansas City Harvesters' service area receive free and reduced-price school meals during the week; many of those are at risk of hunger on weekends. BackSnack is a partnership between Harvesters, a participating school and a local community partner—usually a corporate, civic or religious organization. Harvesters provides the food and the backpacks. The local community partners help facilitate picking up the BackSnack food kits from Harvesters and distributing them to the schools. School principals and/or counselors determine which children receive BackSnacks at each school. The Hickman Mills C-1 School Nutrition Department is a proud partner assisting in the distribution of BackSnack foods to local partners that assemble the backpacks to go home each weekend.